A few weeks ago, we asked members of 360° Network to nominate Uganda’s top Entrepreneurs. They chose Charlie Lubega,Sudhir Ruparelia,Patrick Bitature , Sylvia Owori,Andrew Mwenda and Ahmed Omar (aka Mandela). We contacted them and they have kindly accepted to come share their experience and insights about running succesfull business at the 360° Ask the Entrepreneur Forum & Cocktail on 2 June 2011, starting 6 pm at Garden City Rooftop. Patrick Bitature is a Ugandan businessman, entrepreneur and industrialist. He is one of the wealthiest people in Uganda. Bitature started his business empire with a single company, Simba Telecom, then a retail chain dealership, in MTN air-time. 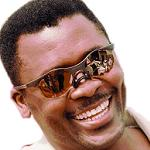 From there he expanded into broadcasting, with the acquisition of Dembe FM radio station, followed by Simba Electronics, an upscale electronics chain of stores. He also has interests in insurance, banking, hotels and resorts. 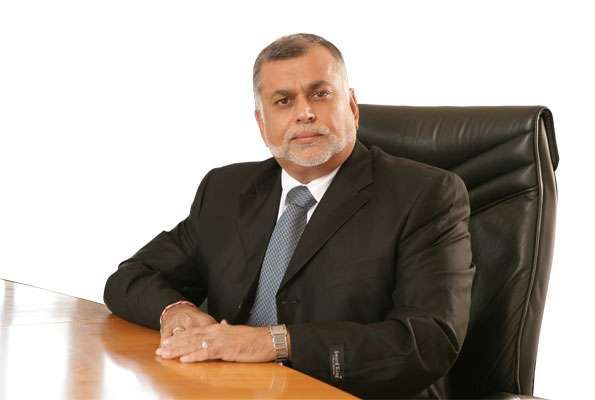 Today, his businesses have subsidiaries in Uganda, Kenya, Tanzania and Nigeria. Sudhir Ruparelia was born in Uganda, but moved to the UK with his parents in his early teens. As a young man in England he successfully established a number of small businesses before returning to Uganda in the 1980s to take advantage of the great improvements in political & business stability. In the banking and fiancial services sector, he owns Crane Bank, Crane Financial Services Ltd, Crane Forex Bureau Ltd,Redfox Bureau De Change Ltd,Karibu Forex Bureau Ltd and Gold insurance company. In the hospitality indistry he owns Speke Resort and Conference Centre Ltd, Munyonyo Commonwealth Resort Ltd,Speke Hotel,Kabira Country Club,Tourist Hotel, Equator Rafts & Speke Resort, Bujagali Falls and Speke Apartments. 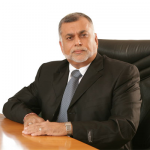 Sudhir owns 88.2 SANYU FM and has substantial investments in the education sector;Kampala International School, Uganda (KISU), Kampala Parents’ School as well as Crane Management Services Ltd and Meera Investments Ltd in Property Management. 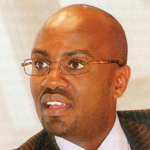 In the floricaulture business, he owns Rosebud Ltd.
Andrew M. Mwenda is the founding Managing Editor of The Independent, Uganda’s premier current affairs news magazine. In November 2009, he was named by Foreign Policy magazine as one of the top 100 Global Thinkers alongside the Pope, President Barak Obama, the chairman of the US Federal Reserve, Ben Bernanke and other distinguished scholars, leaders and Nobel laureates like Paul Krugman and Amartya Sen.
Before founding The Independent, he worked as General Manager of KFM, a radio station owned by Monitor Publications Limited (MPL) which he transformed from a little-known station into Kampala’s Number 1 radio station through re-branding and re-programming. He also hosted Andrew Mwenda Live, which can be accurately described as one of the most popular prime time radio talk-show in Uganda ever. Charlie Lubega owns the famous Industrial area based and posh Guvnor Night club the latest addition to Ange Mystique in Uganda and The UK at 14 Ruby Street, SE15 London . If you are into serious partying, this is the place to be. On top of this success, he is also a National Rally Champion (NRC) 2000, 2001, 2002 and 2003. He has substantial real estate in uptown Kampala. Omar Ahmed owns Mandela Group. His City Tyres is one of the biggest and most successful tyre outlets in the country. 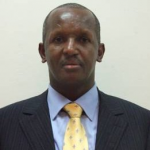 He also has other business interests like City Retread, City Oil and Café Javas. Cafes Javas found at City Oil Wandegeya and Nakumatt Shopping Mall have been lauded for their quality food. Meanwhile, when City Oil was starting out, naysayers said it would fail. How could another gas station succeed where so many others already existed? However, with Mandela’s involvement in his own business and his insistence on quality customer care provided, City Oil thrived and is one of the most successful gas stations in Uganda. All Mandela’s business entities are known for their quality customer care. Out of business, this businessman is famous for his undisputed loyalty and financial support to Sports Club Villa. Sylvia Owori has her own fashion label “Sylvia Owori” which puts the F in the Fashion Industry in Uganda. She is a pioneer the Uganda modeling business and is also a proprietor of the African Woman Magazine, sold across East Africa. She owns the popular and high class fashion Sylvie’s boutiques.She’s a real estate dealer and owns real estate on Bulago Island. 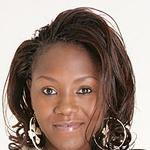 Sylvia has also managed the Miss Uganda event before. Sylvie is of the opinion that anyone can succeed. She says that the fact that she has succeeded is testament to the fact that anyone can succeed. Tickets are on sale at UGX 50,000 only. Good Point Maggie but we tried. 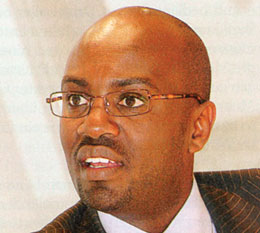 Andrew Mwenda is young. So are Rugyendo and Sylvia Owori. You always want a good blend of both (and there will be lots of young entrepreneurs to meet and talk to). The other point is that these guys were chosen by members here and at Facebook. The next batch will definately be younger ! I need more details of those entrepreneurs like ,what motivated them to start their business,number of employs,contribution to the economy. The true values in life are those that go beyond the things we can see and feel-they are spiritual gifts from God, such as happiness, friendship, and love.